There is always going to be a lot of heated debate about the subject of gambling. A lot of people and politicians in Canada believe that it should not be legal for their citizens to place bets on casino games. They are even more vocal about the idea of the government helping people place bets online. Many Liberals claim that having a government run site would help them regulate the amount of money people spend on gambling. Conservatives do not agree with this sentiment. They believe the Liberals just want to take more money away from the poorest and most vulnerable Ontarians. “They just want a way to get more money into the state coffers. This has nothing to do with regulating gambling,” said a critic of the new website. Conservatives are worried that having a government sponsored site will only encourage more people to gamble. “If someone spends their entire day sitting in front of the computer and gambling, they will end up spending money they do not have. This is a dangerous past time to encourage, especially with how much we know about gambling addiction,” said Catherine Fife. Catherine is staunch critic of this Liberal policy. “A lot of research has been conducted on this matter, and almost all of it points to online gambling as increasing the propensity for gambling addiction,” she continued. 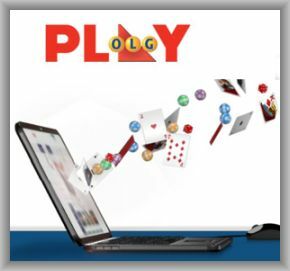 Regulating gambling may be one reason the Liberal government wanted to create PlayOLG.ca, but the potential financial benefits cannot be ignored. There is a $13 BILLION deficit in Canada that needs to be eliminated soon, and revenue from gambling sites is one way to solve the problem.